Gund is proud to present the Cozys collection — cuddly companions made from special plush material that's familiar as an old friend! 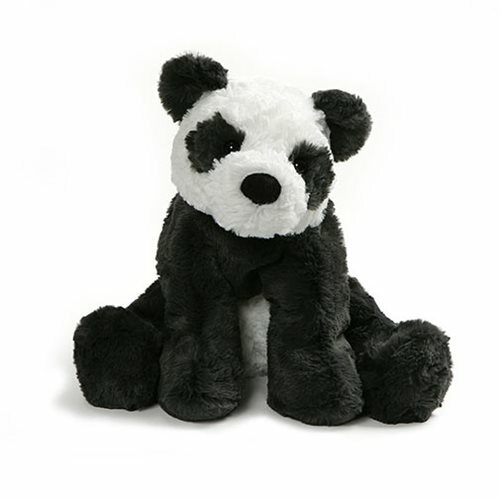 At 10-inches tall, this perfectly poseable panda with ultra-soft fur makes the best companion for any snuggle session. The luxurious feel and rich charcoal and white coloring makes the Cozys Panda 10-Inch Plush a perfect gift for panda lovers of all ages. Surface-washable for easy cleaning. Measures about 10-inches tall x 10-inches long x 7 1/2-inches wide. Ages 1 and up.